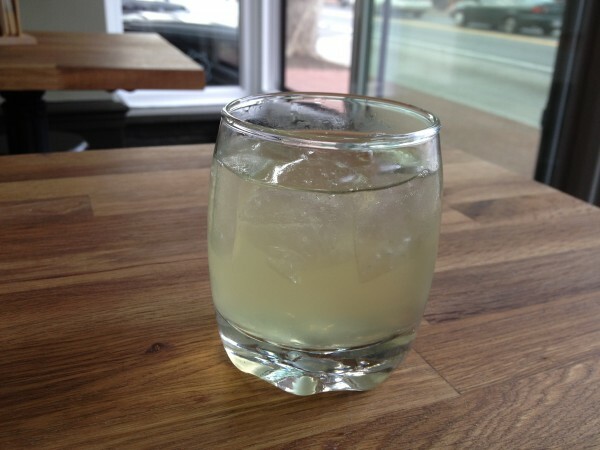 The Bohemian margarita is a specialty of Bistro Bohem. The City Paper reports that Bistro Bohem‘s mixologist (cocktail chef), Mark Reyburn, has defected across 6th Street to Shaw’s Tavern. Reyburn intends to infuse Shaw’s menu with Civil War-era cocktails befitting the venue’s namesake. Considering that Bohem’s cocktails were exceptionally good when I reviewed the place in May, Reyburn’s new grog gig is sure to please. The City Paper also notes that Shaw’s plans to add a roofdeck within two months. I have come to learn, however, that these build-outs typically take longer than even the most ambitious restaurateurs expect. But even with Shaw’s salvo of a new cocktail list and roofdeck, Bohem isn’t ready to surrender so easily. Bohem is planning a Reconstruction of its own, in fact. The Bohem dominion is expanding into the space next door that used to be Zee’s Restaurant. The new Cafe Bohem will open on September 3 and will serve coffee and pastries. Glad both these places are doing well – enjoy having them in the ‘hood. Hoping that Shaw’s will replace the missing cornice around the top of the building when constructing the roofdeck – really jumps out as missing/incomplete when you see the building. Anyway, just my two cents. Can’t wait to enjoy a cocktail on the roof! Had a cocktail there last night. Can’t recall the name but it was from Philadelphia in 1862. Wow. Might be the best cocktail I ever had. Wholly second the part about the cornice at Shaw’s. Could you ask them whether leaving it off was intentional? I worry that it’s some kind of “shabby chic” kind of look they aimed for with that.